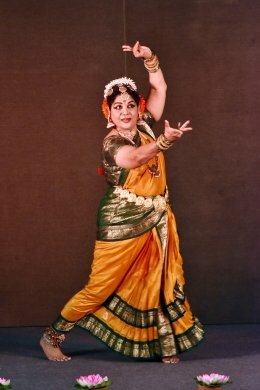 On 15th August 2018, the 72nd Independence Day of India, 'Sarojini,' a national dance festival was held commemorating the nightingale of India, Sarojini Naidu. 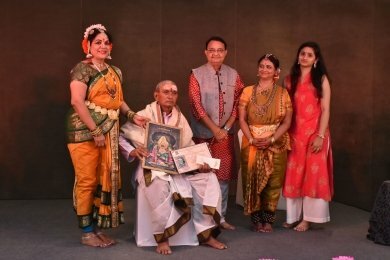 The festival was organized by Aatmalaya, an institution imparting training in classical dance and music along with a charitable wing Kalachaitanya for propagating arts for lesser privileged and rural children. It was indeed a perfect day to pay tribute to one of India's celebrated freedom fighters, activist and poet. Performances by renowned artists from across the country studded the festival through depictions of Sarojini Naidu's poems through thematic dance compositions. The chief guest of the day was Chhau Guru Gopal Prasad Dubey. Opening the string of performances was a scintillating Kuchipudi piece by Dr. P Rama Devi expertly bringing to life two poems by Sarojini Naidu and closing with a beautiful display of the Sita Swayamwaram from the Indian epic Ramayana. Next was a performance titled 'Tridevi' by the director of Aatmalaya, Dr. Padmaja Suresh. 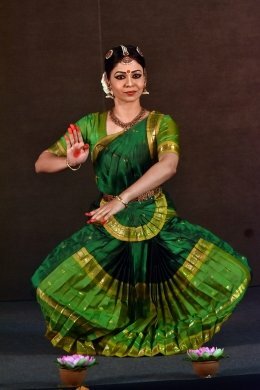 The dance featured three unsung heroines of Indian history namely Urmila - wife of Lakshmana from Ramayana, Rani Velu Nachiyar - one of the first martyrs in the Indian freedom struggle, and Sarojini Naidu. The performance was well crafted, seamlessly weaving through the different personalities in an elegant manner. "Unless an artist is given due recognition, the art does not progress." True to these words of the chief guest of the day, senior artists from smaller Indian towns and rural India who have dedicated their lives to practising various art forms were felicitated. 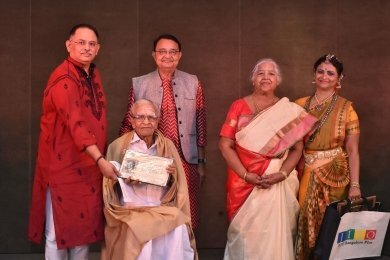 The Chakyar Koothu Rajan memorial award was presented to Pallassana Chandran Marar, Justice Jagannath Shetty Award to Pasumarthi Ratthaiya Sarma, Padmavathamma Memorial Award to Tulasamma in lieu of Dasi Venkatalakshamma and Guru Mahalingam Pillai award to Sudha Chandrashekar. The felicitation was followed by a special dance offering by the junior dance team of Aatmalaya. After the earnest and delightful display of talent from the young students, was 'Nightingale in conversation with dance,' an ode to Guru Mahalingam Pillai, paid beautifully by Bharathi Murthy. It combined verses from Sarojini Naidu's poem "A Rajput Love Story" weaved in with the revered compositional themes from Mahalingam Pillai's repertoire. 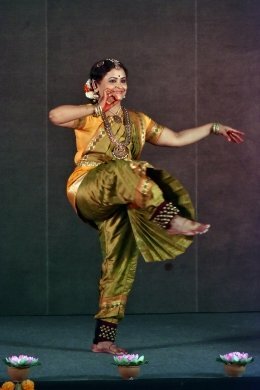 Navia Natarajan presented a thematic Bharatanatyam performance that explored the mystical multi-faceted personality that is Lord Siva and concluded with a presentation of the person that Sarojini Naidu was. 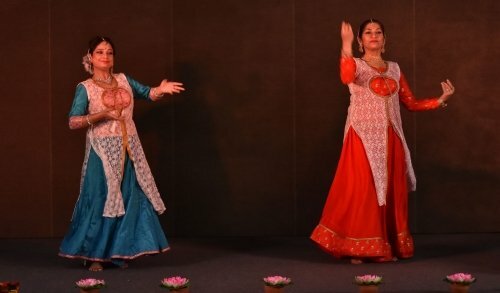 The festival came to a conclusion with a mesmerizing display of Yugal Kathak by Sampada Pillai and Shikha Bhattacharya.